TheBlueGuerilla: Thatcher Hits UK Top 40 as Prescott Loses his Marbles Over State Funded Funeral Labour Signed off. Thatcher Hits UK Top 40 as Prescott Loses his Marbles Over State Funded Funeral Labour Signed off. Over the past 48 hours Thatcher supporters have managed to get the 70's punk rock track "I'm In Love With Margaret Thatcher" to the official UK Top 40 on Radio 1, which takes into account all music sales over the past seven days. 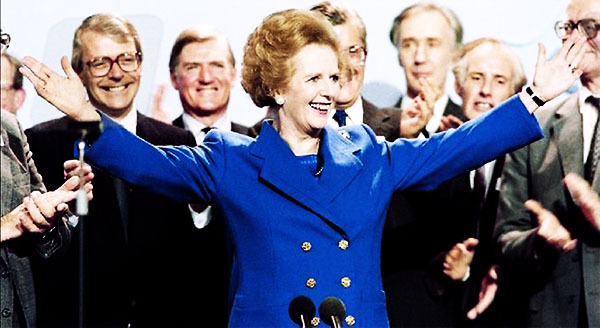 The Thatcher protest song "Ding-Dong The Witch is Dead", which hit the ITunes charts earlier in the week and sparked the response by supporters later in the week, reached number two. Meanwhile tbg can sensationally reveal that former Deputy Prime Minister John Prescott must be losing his memory in his old age. Prezza is all over the newspapers this weekend protesting at the Government footing the costs of Baroness Thatcher's funeral and even suggesting it be 'privatised'. However, it was the government that he was Deputy Prime Minister in that agreed to pay the costs of all past Prime Ministers funerals. Gordon Brown also signed off preparation planning for Thatcher's funeral in 2008 along with her Majestic Royal Highness, The Queen. Francis Maude, the Cabinet Minister who has taken on the responsibility of heading 'Operation True Blue' funeral planning after continuing the private planning of the funeral since at least 2011, told tbg - "I think Lady Thatcher was a game-changing Prime Minister, both nationally and internationally, and it is right that we should mark her passing in a way that is seemly and appropriate and which befits the scale of her achievements." Not wishing to be pedantic but it is Her Majesty The Queen. Other than that, excellent article.